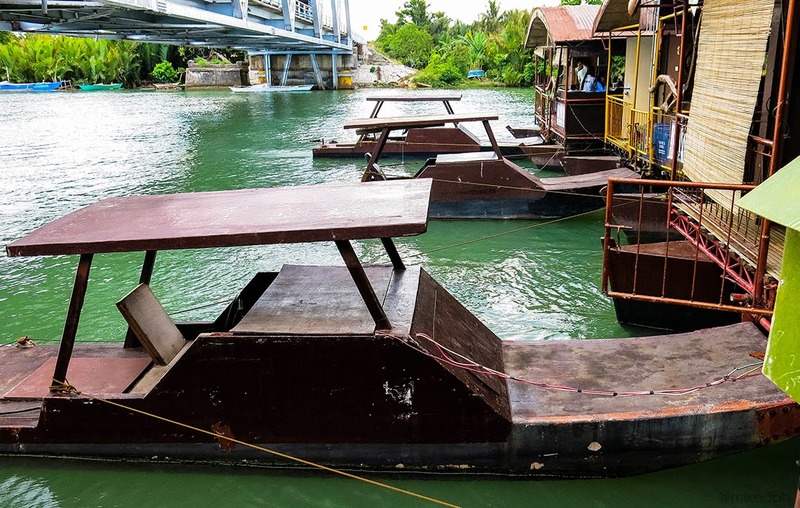 Touring Bohol is never complete without touring around Loboc River while having lunch. 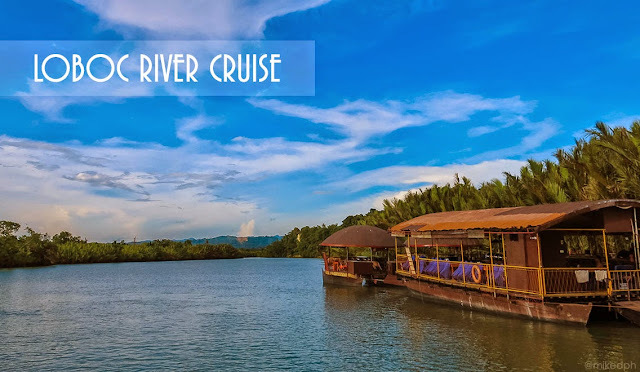 The floating restaurant will not only fill your tummy, but the lush trees along the serene river in the cruise will surely make you feel relaxed. 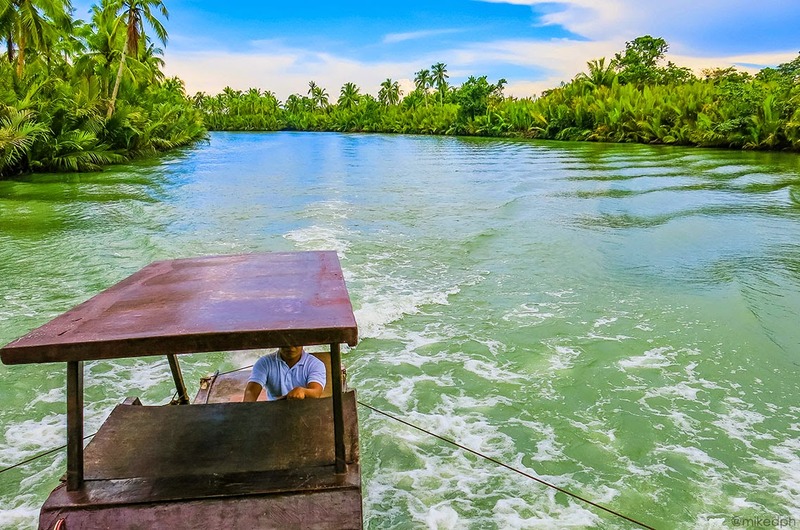 If you avail the Bohol Countryside Tour package , it already includes the Loboc River Cruise with Lunch Buffet. 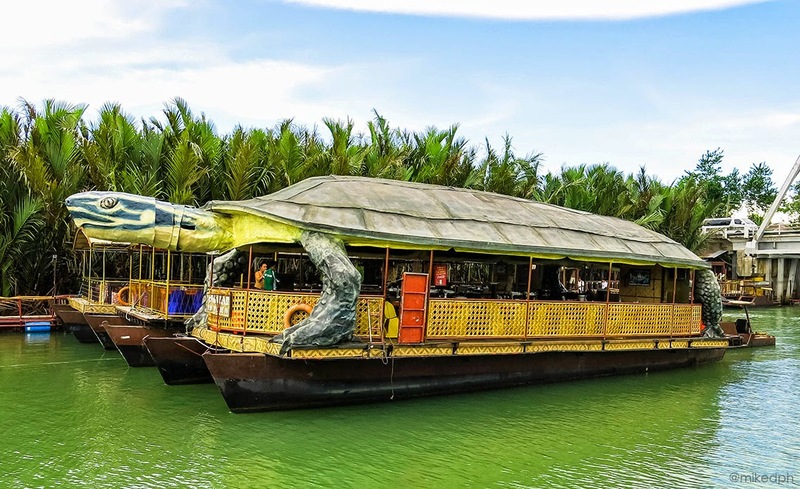 But if you are on a DIY tour, there are many floating restaurants that offers it. 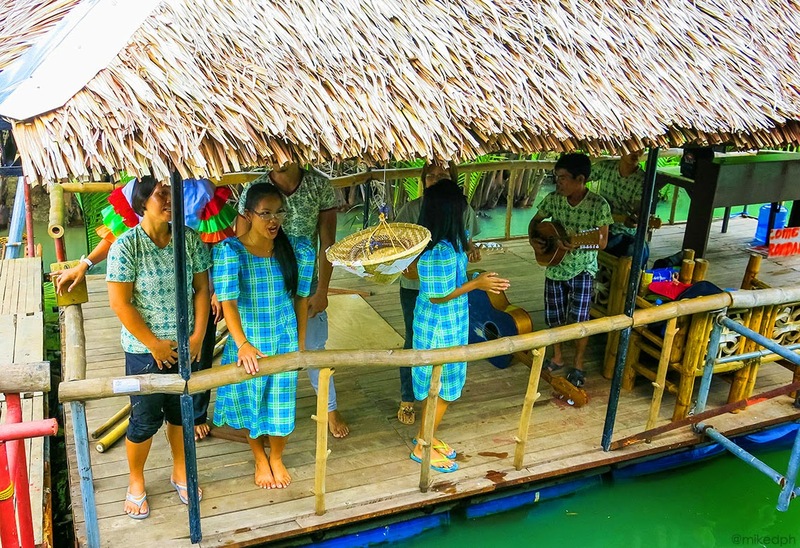 They also have a night cruise with dinner buffet, which is also a perfect time for firefly watching. 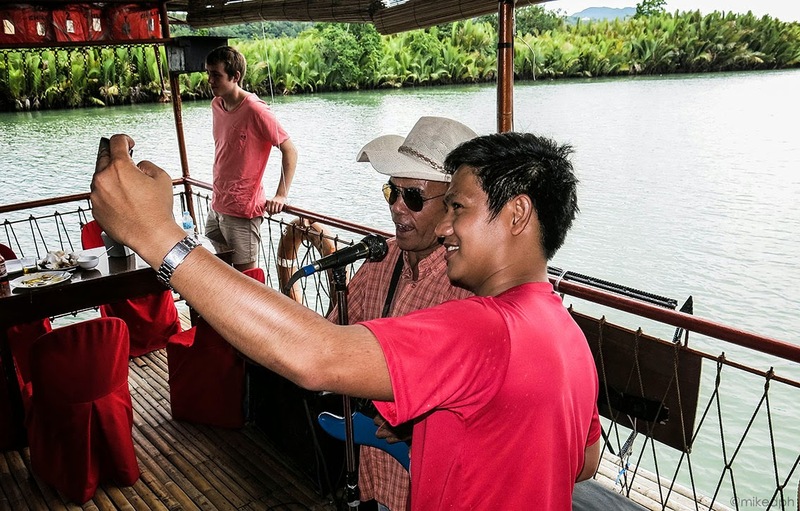 They offer a package deal for night cruise which includes the buffet and a concert. Lunch schedule is from 11 am to 2 pm and dinner is from 6:30 pm to 8:30 pm. *Adults are 7 years old and above, while kids are 4-6 years old. Kids 3 years old below are free. 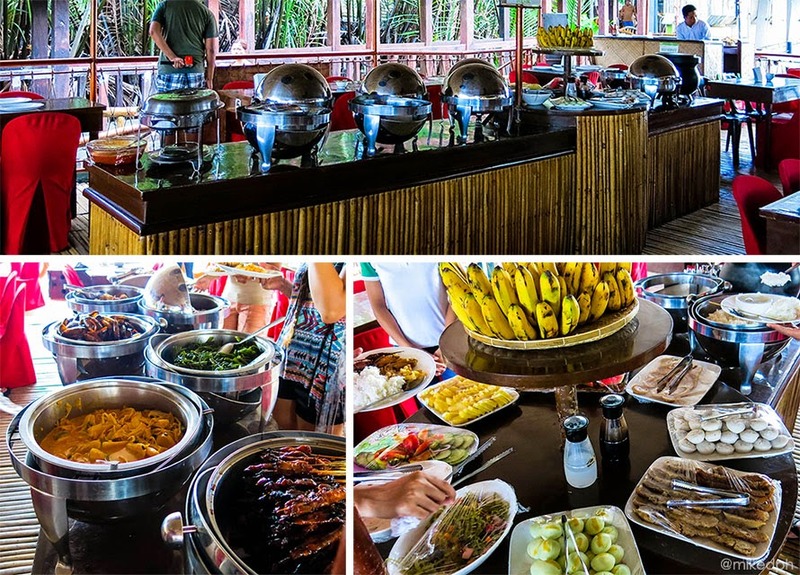 The buffet type included in our tour is the regular one. 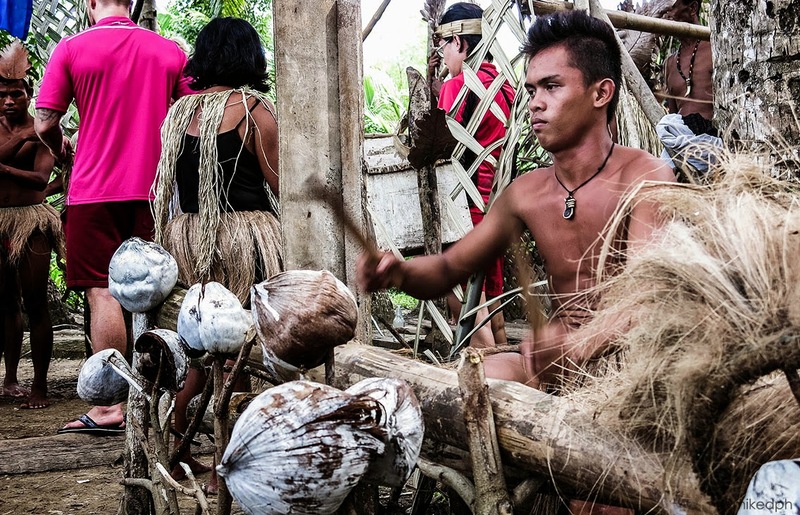 It consists of common Filipino dishes. Food tastes just average but it was still satisfying. The buffet includes one soft drink only, but you can order another for a separate fee. 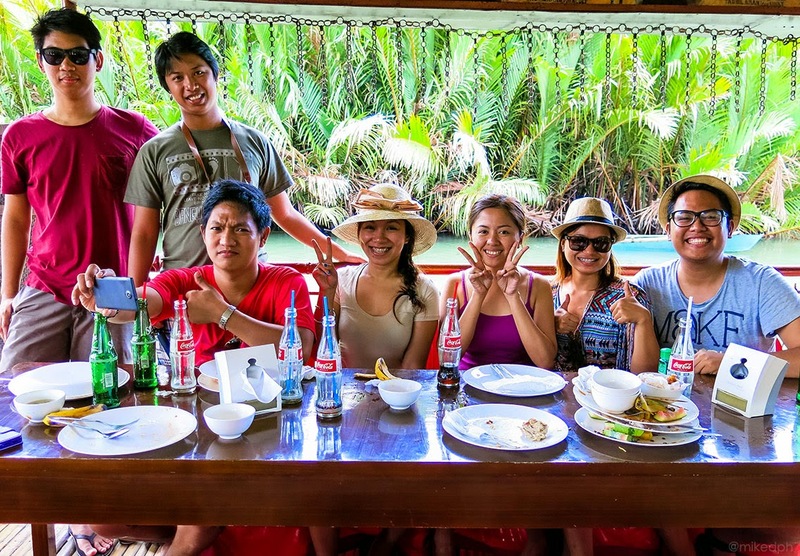 After boarding the floating restaurant, you can choose your seat and immediately start eating while waiting for other guests. When all guests are already boarded, The cruise will start and the performer will start performing. 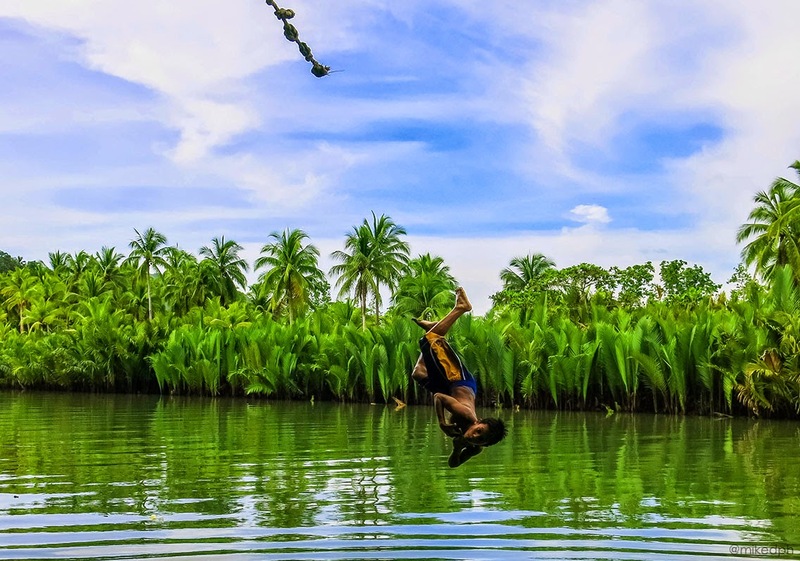 Everywhere you look is just lush green trees and the blue sky. The cruise will last for an hour and will make a few stops along the way. First stop is at the river choir station where the locals will give you a warm welcome and then serenade you. 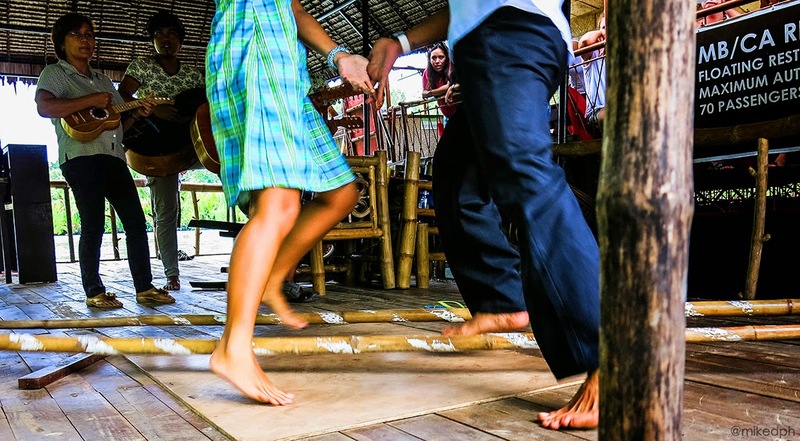 They will also perform a "Tinikling" dance, which the guests are also welcome to try. There is no fee from all of it but, it's very much appreciated to give a tip. 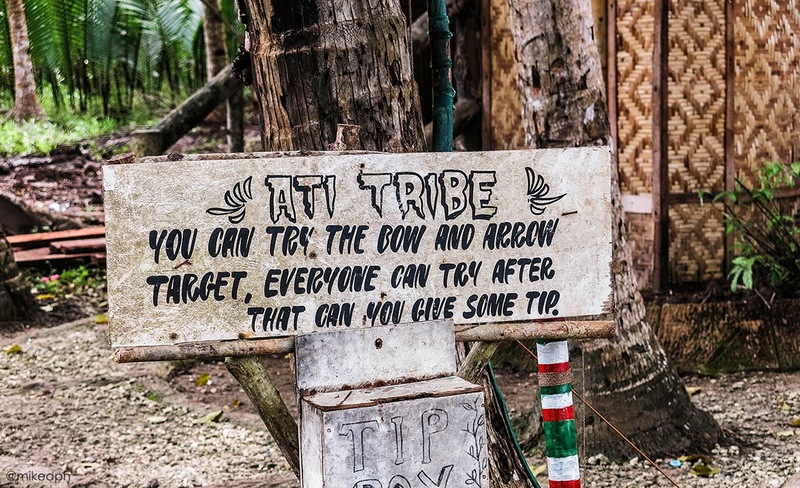 The second stop is at the "Ati" Tribe. From far, you can see them waiting for the guests to arrive. 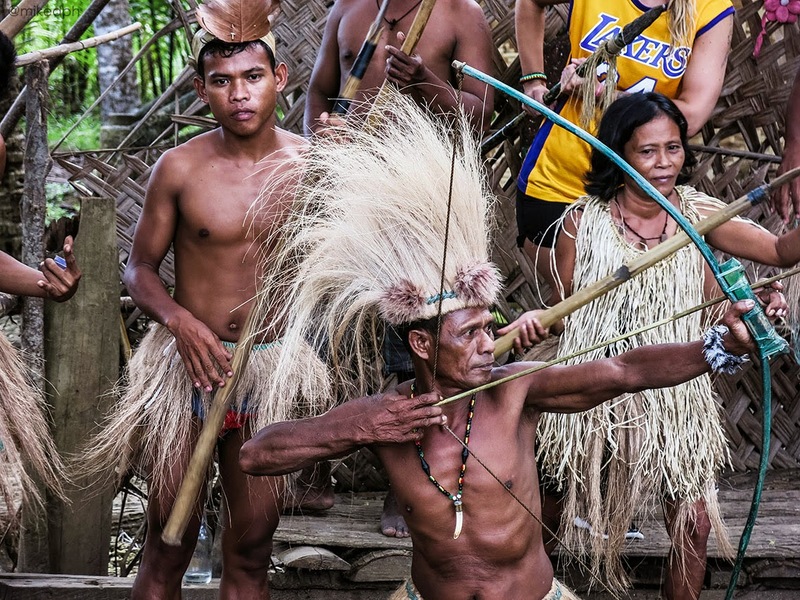 You will be welcomed by Ati Tribe cheer with fire breathing. It was awesome. 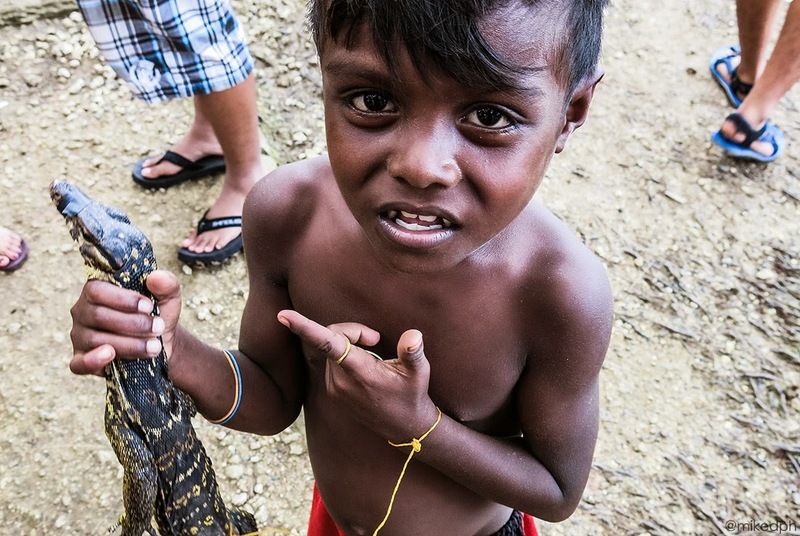 The children have a "bayawak" (monitor lizard) pet, which you can also hold. 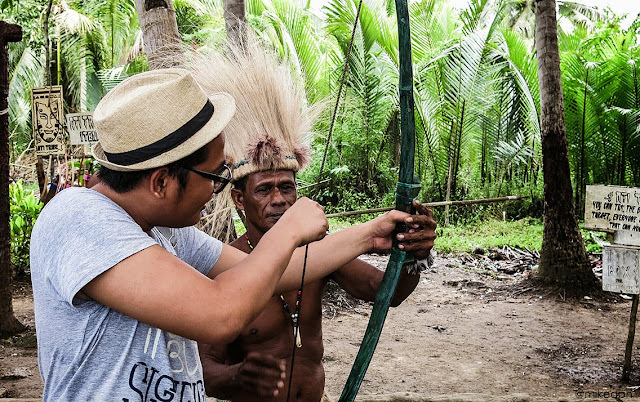 There's actually a lot of stuff you can do there like try to use a bow and arrow, rope swing like tarzan in the river and take photos around or with them. Again, no fee from all of it, but a tip is very much appreciated. 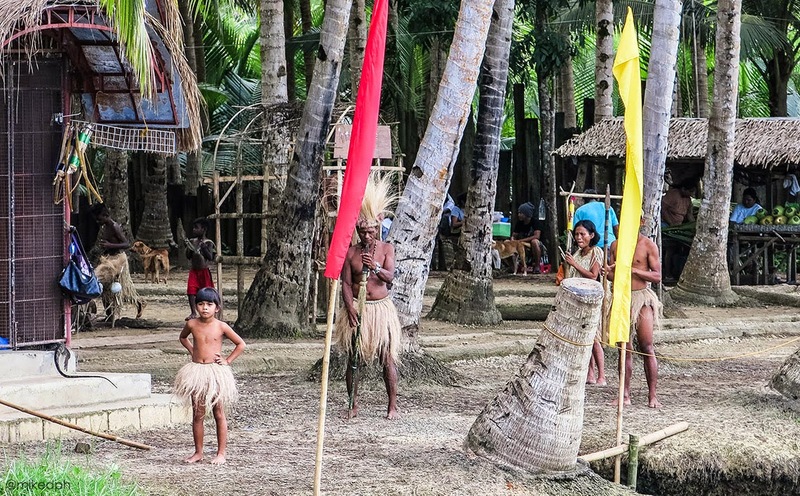 After the stop at the Ati Tribe, the floating restaurant will be heading back. 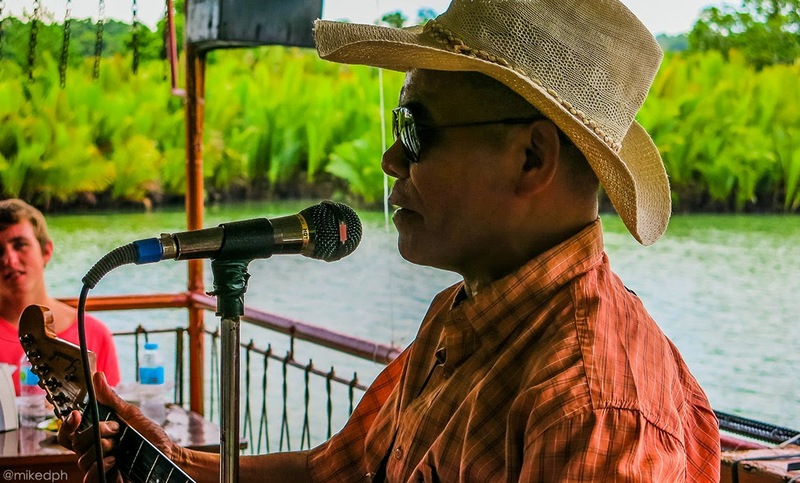 Time to relax again and enjoy the sights along the river while the performer plays. 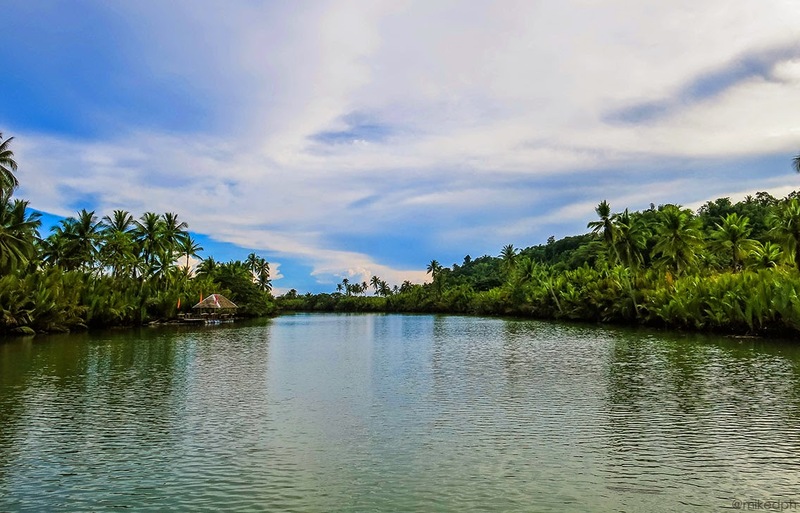 Surely, Loboc River Cruise is a fantastic and lovely tour that you will definitely love. 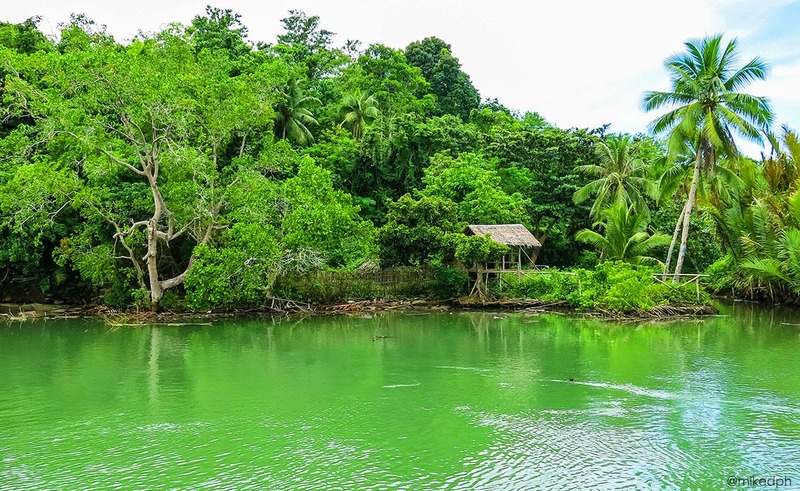 I want to go back to Bohol because I wasn't able to go to the Loboc River! 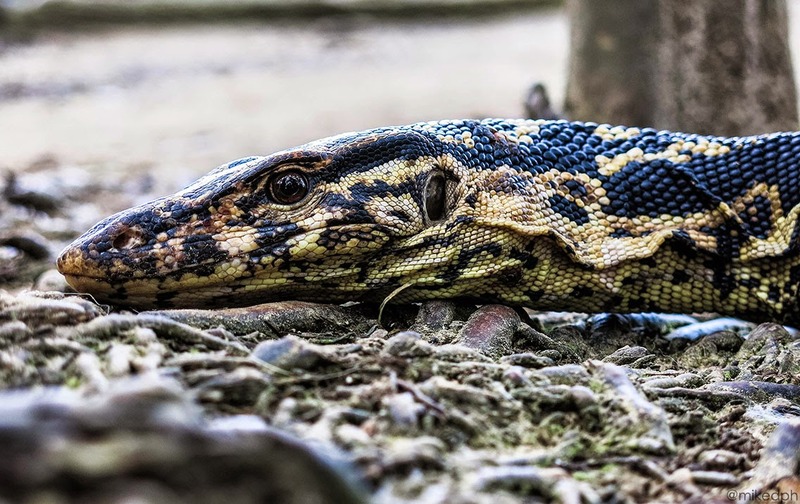 Your blog post makes it sound so interesting! 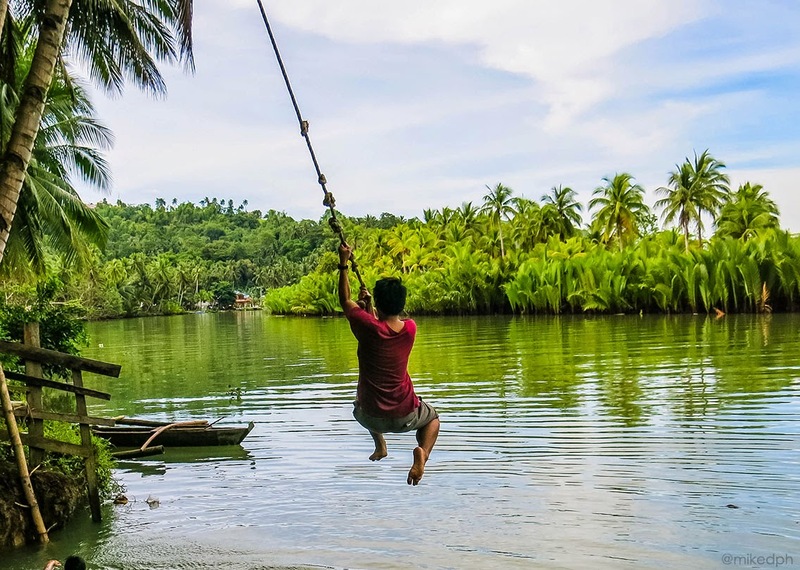 sir anung year po kayo nagpunta sa Bohol? 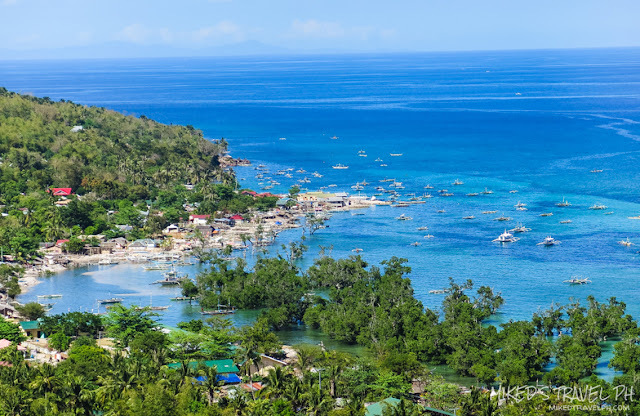 ah ok po.. punta po kc kami ng Bohol this November.. thank you po sa blog nyo at nakakuha ako ng info's at tips. more power sir! God bless you. Hi Raj, we got ours from a package tour. Maybe you can contact Rio Verde for the tickets. 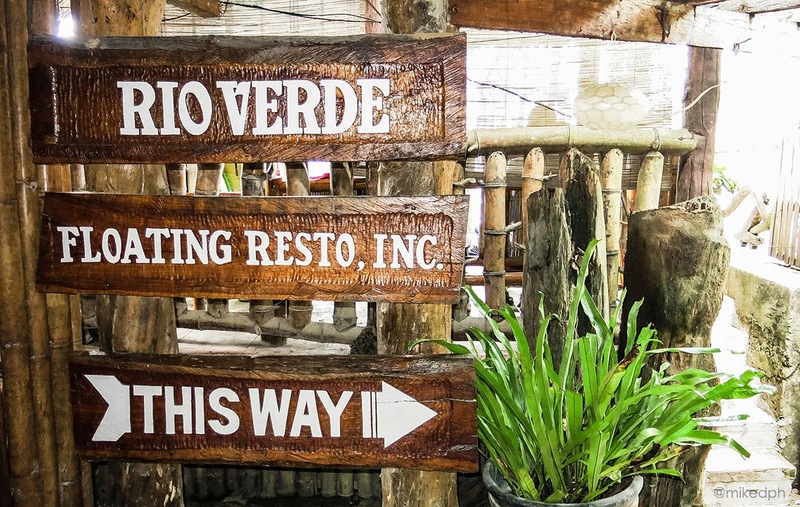 Rio Verde is only one of the many floating resto boats there? 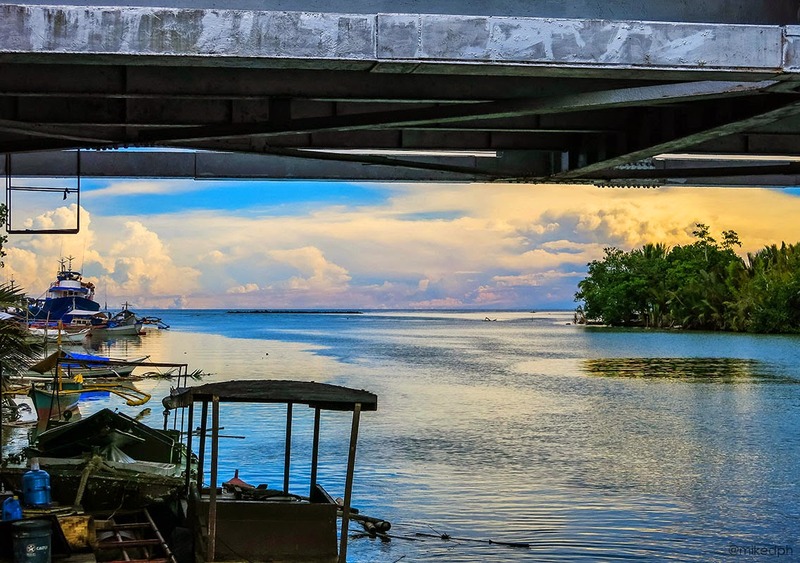 have any idea on the prices of the other floating resto?